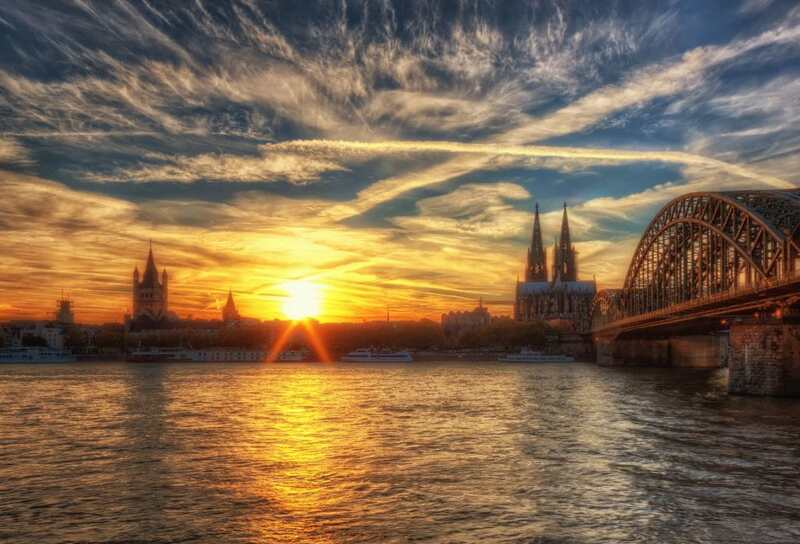 When we visited my old school friend in Bonn, it was clear that we had to make a detour to Cologne. The pedestrian zone was much too crowded so that we quickly left the center of the city. After a long walk by smaller streets we eventually reached the river Rhine again. And well, what can I say. We only had one day, but I couldn’t have asked for a more beautiful sky at sunset.